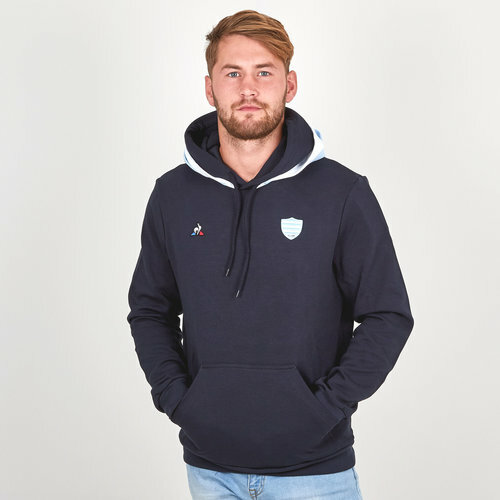 Look and feel your best no matter if you're training, out and about or at the Paris La Defense Arena in this Racing 92 18/19 Supporters Hooded Rugby Sweat from Le Coq Sportif. This hooded sweatshirt is soft and made for comfort in 85% cotton and 15% polyester. This navy sweatshirt has two hoods with one in the 'Castlerock' grey colour to match the training range colour scheme. The LCS logo is on the right with the Racing 92 badge on the left.